Have you been religious about your dental visits, checkups and cleanings? 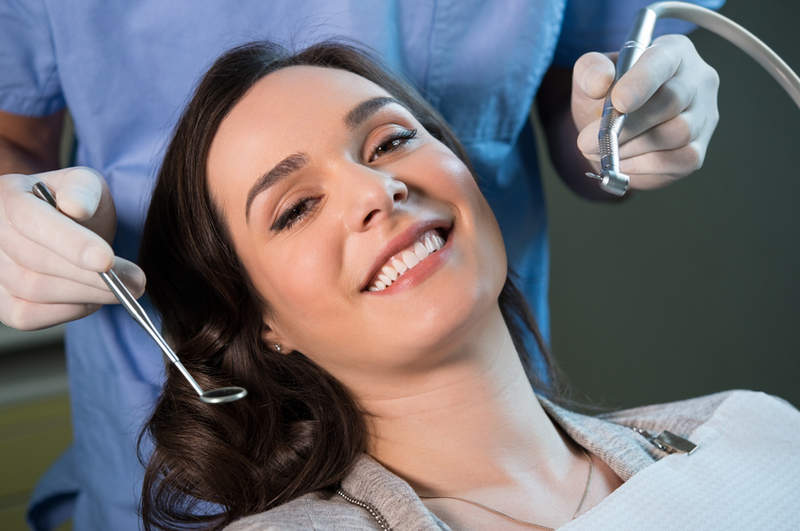 When was the last time you did your teeth a favor and had a professional dental cleaning done? Has it been months or years, perhaps? You should know how important it is to have regular checkups and cleanings for your overall oral health because aside from the oral home care that you are providing your teeth and gums by brushing and flossing, another essential step to achieving optimum oral health is by means of having regular checkups done especially cleanings. Visiting your dentist at least once in every six months is vital however, if you have an oral condition that needs to be constantly monitored, then more frequent visits may be required. One of the crucial steps in order to maintain the good health of your teeth and gums is by having your regular trips to your dentist. It is during your dental consultation that you get to learn more about the condition of your oral health. You can ask your dentist questions about anything that concerns your teeth, gums and mouth. Your dentist also needs to uncover your habits that affect your oral health so he can raise awareness and provide you education on preventive care and protect you from the development of oral health issues like tooth decay, cavities and gum diseases. During your visit, your dentist will be doing a careful examination of your mouth and check if there is any presence of plaque and tartar on the surfaces of your teeth. Brushing and flossing everyday are good habits but sometimes, you may not be aware but there may still be remaining plaque on your teeth especially in places where it is hard for your toothbrush to reach. If these stay longer on your teeth and are not removed by brushing, they can develop into a tartar which can potentially lead to decay and cavities. Your dentist will also be doing a thorough check on your mouth to see if there are signs of gum problems. The other parts of your oral cavity will also be checked including your face, throat, neck and head. Your dentist will also be performing a professional dental cleaning during the checkup in order to get rid of the remaining plaque and the tartar buildup from your teeth. Special tools will be used by your dentist, does not matter whether they are manual scaling tools or electronically powered, the most important thing is that everything that has gotten stuck on your teeth will be removed and all places around your teeth will be cleaned especially the tiny spaces between your teeth. Your oral health impacts your overall health. Whatever happens to your oral health may affect your body in one way or another. Poor oral health, and the infections and diseases that come along with it can also result in the development of certain serious bodily conditions. Allowing your dentist to perform a dental cleaning for you can help get rid of bad breath. Bad breath is just primarily caused by the spread of bacteria in your mouth and so long as you ensure your mouth is thoroughly cleaned and there are no plaque where bacteria can live, then you can be guaranteed with a clean and fresh breath. You can get rid of the stubborn stains from your teeth caused by certain food and drinks and habits like smoking. Sometimes, no matter how hard you brush, these stains are very difficult to remove and you need to have dental cleaning in order to get rid of them. Regular checkups can help you avoid gum and periodontal diseases because these are primarily caused by bacteria that harbor on the surfaces of your teeth and along the gum line.